Chestnut Street will welcome two new restaurants in one shared storefront this week with the soft openings of Chez Ben and M. Brown's, both kitchens led by Chef Paras Shah. Shah most recently left Passyunk’s buzzy Barcelona Wine Bar after acting as the inaugural chef there for just three months. With Chez Ben, Shah trades Spanish tapas for an all-day French bistro that includes a coffee bar. 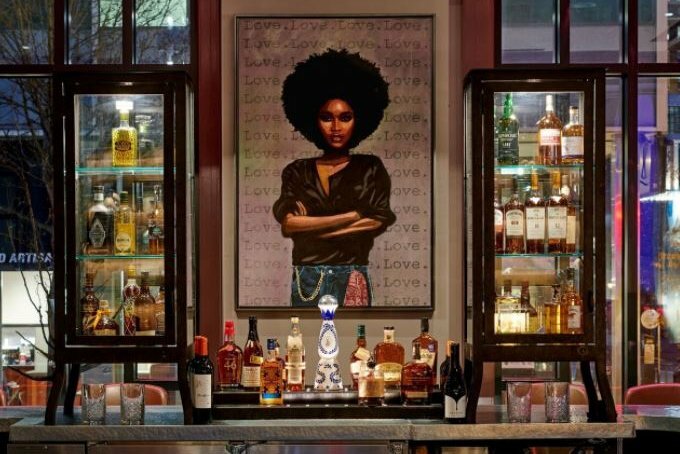 M. Brown’s will focus on aged spirits and cocktails with small plates. The concepts will be housed at 401 Chestnut, home of the Franklin Hotel at Independence Park. Apropos of the historic Old City setting, Chez Ben’s namesake comes from, of course, Benjamin Franklin, inspired by the Founding Father’s penchant for French cuisine and the idyllic Parisian lifestyle. As such, Chez Ben will include a raw bar, tarte flambees and contemporary takes on classic French dishes, plus wide wine and aperitif selections. There will be a coffee bar (La Colombe is the shop’s supplier) for quick grab-and-go purchases as well, including French pastries. M. Brown will expand beyond French cuisine, offering internationally-inspired plates and drinks that include a variety of Japanese whiskeys. Both establishments will be open for business starting Friday, March 16. Chez Ben's coffee bar will open at 6 a.m. and begin seating for dinner at 5 p.m. M. Brown will be open from 5 p.m. to 1 a.m.